Pallets find application in the packaging and transportation of a variety of products. Many businesses use them to hold boxes so that handling them with a pallet jack, forklift or front loader becomes easier and faster. Pallets often keep shipping containers secure with stretch wrap or strapping. They are available in several sizes and shapes, and can be made up of different materials, including metal, paper, plastic or wood. Once used, pallets can also be sent for recycling, so that new products can be made from their material. There are several companies these days who solely concentrate upon pallet recycling. Earlier, after shipping products, pallets used to end up in the landfills after single use. But these days, you have the option to get them recycled. It saves you money not only on buying new pallets every time, but on waste disposal costs too. Pallet recycling is also helpful in conserving our valuable resources, as their material can be used to make new products in the market. It is to be noted that when you go for pallet recycling then you should note that they process must be done in an environment-friendly way. At the same time, and the same thing can be used as fiber for multiple products. Since it has become a popular option among businesses, it also creates jobs in the industry. The first preference for all is to reuse the used pallets. 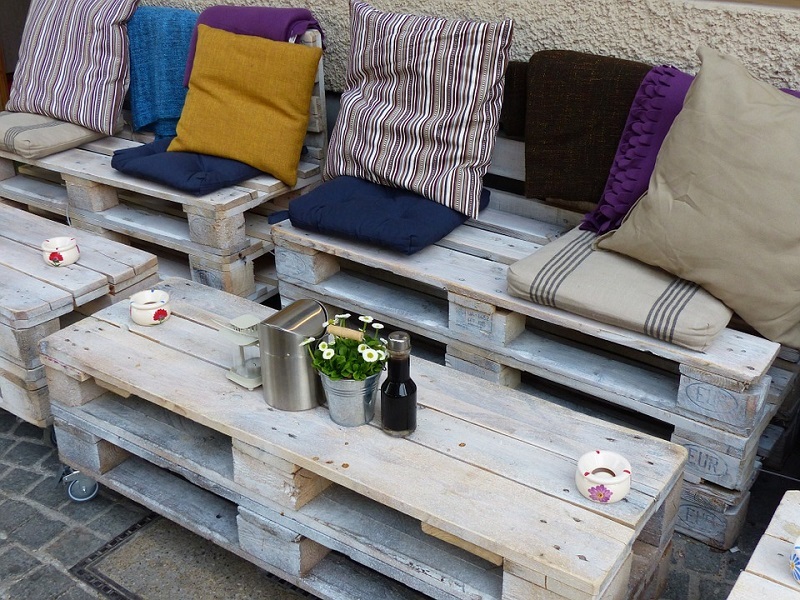 Some companies even deal in repairing and reselling used pallets. However, if the used pallets are too damaged and they cannot be reused in any way, then the last option is to send them for recycling. Pry bar: These bars are used for removing pallet boards, often available in double fork or duck bill styles. While duck bill can move the board from the pallet’s edge without damaging the wood, double fork removes the interior deck board. Air compressor: This tool is required for running pneumatic equipment, including chop saw, nailing tools etc. It can be oil-free or piston-style air compressor. The one that you choose depends on the type of your business. Nailing equipment: While a classic hammer has limited use, a heavy weight model like the framing hammer would be helpful in driving nails in the hardwood. Other tools: Other tools required for pallet recycling include trim saws, chops, stringer platers etc. You can use a trim saw to cut down a dismantled pallet, and chop saw to cut stingers. Platers can be handheld or stationary, often used along with a balancer. The pallet recycling industry is growing by leaps and bounds. Pallet recycling plants are generally located near industrial or commercial plants so that large-scale pallets can be taken from one place to another. Recycling companies also purchase pallets from individual vendors for all their transportation needs.